BMW 5 Series Touring Boot Space, Size, Seats | What Car? 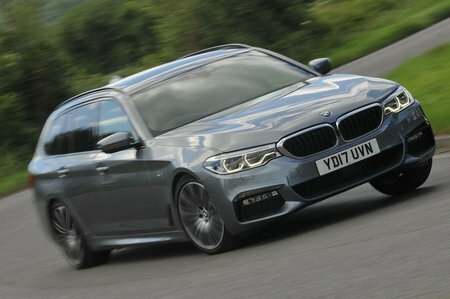 The 5 Series Touring is just as roomy as key rivals, such the Audi A6 Avant, Mercedes-Benz E-Class Estate and Volvo V90, so you’re unlikely to have any issues with head room. And because the front seats slide back a long way, leg room won’t be a problem, either. Storage options are plentiful; the glovebox is big and there’s a lidded cubby behind the gearlever with USB ports that’ll take a wallet, keys or a mobile phone, along with two cupholders. In front of the gearlever is a tray that’s the perfect size and shape for a smartphone. This can be turned into a wireless charging tray if you tick that option box. Both door pockets will accommodate a small water bottle, but that’s about it. If you want the roomiest rear seats, then hands down the V90 is a better bet than the 5 Series Touring. 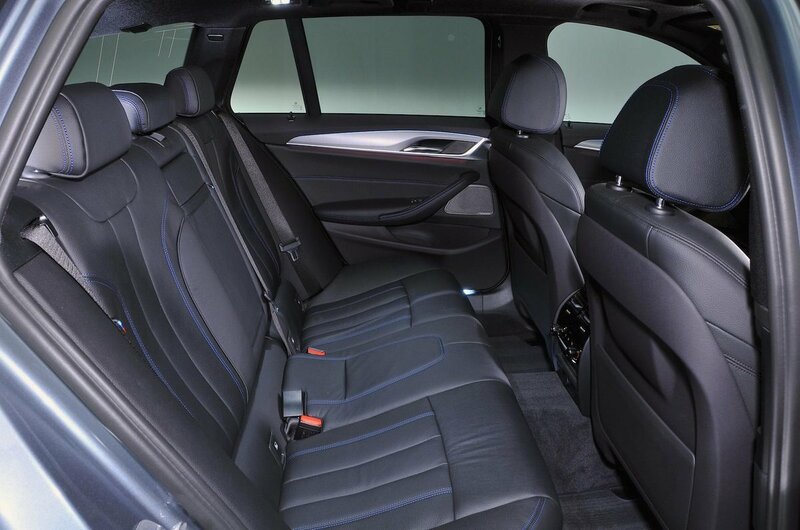 That said, both head and leg room are still good enough for 6ft adults sitting behind similar-sized folk up front, and it has a touch more knee room and lots more foot space under the front seats than an E-Class Estate, making the 5 Series Touring a more relaxing place in which to chill out in the back. There’s a tall central tunnel in the floor for a middle passenger to clamber over, though, and if you’re trying to fit three burly fellas side by side, then shoulder room will be tight. That said, it would be a similar story in any of its rivals. Just like the driver’s seat, the front passenger seat has electrically adjustable height and backrest angle as standard, making it easy to fine-tune the perfect position. It’s disappointing that electrically adjustable lumbar support costs extra, though – even on the more expensive trims. With handy electric release buttons just inside the tailgate opening, you can flip down the 40/20/40 split-folding rear seats easily; V90 owners have to make do with less useful 60/40 split-folding rear seats. 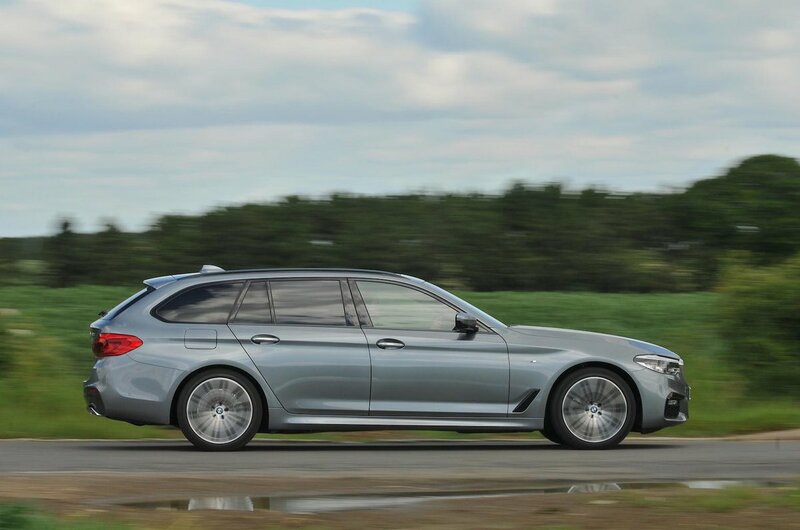 The 5 Series Touring's boot is a good square shape and, with a 570-litre capacity (with the rear seats in place), it’s marginally larger than the A6 Avant's and V90's. There’s also a bit of extra luggage space under the boot floor that's big enough for shallower items such as laptop bags. Even so, it’s still quite a bit smaller than ‘the king of boots’ that is the E-Class Estate. To prove that particular point, we attempted to see how many carry-on suitcases we could fit in the rear of both; the 5 Series Touring managed eight, while the E-Class trumped that with nine. With the rear seats folded down, you get a long, flat extended load bay all the way through to the front seats, and the boot floor comes flush to the tailgate opening so there’s no lip to lift heavy items over. It’s got some neat features as well, such as a standard powered tailgate that automatically retracts the tonneau cover as it opens. And you know those occasions when you’ve reversed so close to a wall that you can’t open the tailgate? 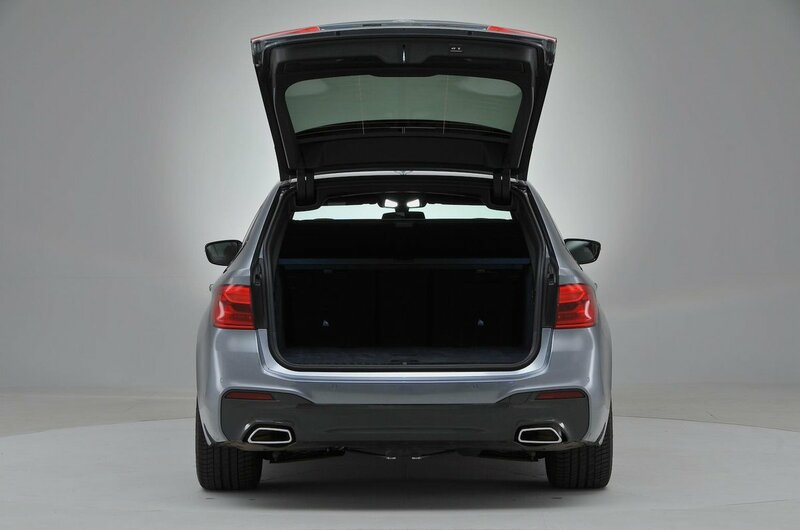 Well, in the 5 Series Touring, you can open just the hinged rear window to gain easier access to the boot.